"Very knowledgeable and friendly staff. It’s a quiet atmosphere with great amenities. Absolutely love this place! Maintenance issues get resolved very quickly." "I’ve not even moved in yet, but am already enjoying how prompt the staff has been and how seamless they’ve made the transition from country to city living! Super excited to move in and see what else is in store at the Alexan!" "Love the East Atlanta community. Building seems to have issues at times, but overall ok. The walls are pretty thin which makes for a little noise but it's to be expected in an apartment complex. Lanedra is awesome. She knows how to effectively communicate with tenants to help meet their needs while staying within the rules set by the company." "The maintenance staff is still awesome and one of the best parts of this community. I can tell that they've been working hard to improve the appearance and cleanliness of the complex." "Helpful staff, very informative, wonderful property! Maintenance very quick to respond to any issues. I love the access to EAV and the security as I come and go." "Pretty good so far. Really enjoyed being here right in the heart of EAV. The staff seems really friendly, though everything is tip top maintained it seems, so we never really have to interact with them." "Better job with the garbage around the trash area. Over all great residential experience with staff and over all maintenance of the building." "Cool community with a lot of dope amenities. So far everyone seems really nice, staff seems helpful and down to earth. Awesome location right in EAV." "I’ve lived here officially 1.5 years. Alexan has always been pretty easy to work with. Anytime I’ve submitted a maintenance request they act instantly. Now that summertime has arrived they are actively trying to maintain the grounds. I would say it may be beneficial to have an employee work and clean the grounds over weekend to upkeep. Neighborhood is still solid. Neighbors are kind." "I love living here! The amenities are A++++, the staff is great, and the apartments are beautiful. I feel very safe and you really cant beat the location"
"I really love living here. The apartment community is so nice. The location is perfect, food around the corner. And we are close to downtown, so I’m able to get anywhere in no time at all." "Pretty cool place. I think the best thing about it is the location. Being literally right next to eav and across the street from my yoga studio is definitely a perk"
"I'm new to the property. So far things have been great. My move-in was seamless and any minor service issues I experienced was handled quickly." "I Just moved in my apartment and i love it! I love the stainless steel appliances and the modern design. i would recommend this community to all my friends." "Since moving into The Alexan EAV I have really enjoyed the proximity to tons of restaurants bars and shops - I think my 2nd home is Thai and Sushi as well as The Glenwood! Cant wait to enjoy the pool this summer!" "Great community, great to be in walking distance to local places. Nice ammenities including gym and pool. Package conceirge is helpful and clean." "My time at Alexan EAV has been good overall. The features of the units are definitely nice and well kept. I was a victim of a hit and run but luckily I have insurance. My suggestion is that the leasing office continues to be responsive and have clear lines of communication, and most importantly add security cameras to the parking lot. I have NEVER seen the security officer on premises. Supposedly we have one on campus but I've never seen him and there are a lot of crackheads, panhandlers, and sketchy people around the property, this is EAST ATLANTA, not the safest of areas." "I enjoy my building and the amenities though I do feel like greystar doesn't care about the community and our staff members are often left short handed and with how much we pay that shouldn't happen." "I couldn’t be happier with Alexan East Atlanta Village. The staff are amazing and so helpful with anything I need. The apartment is so modern and stylish. The grounds are beautiful and amenities are fantastic, I can’t believe how much equipment the gym has and how well maintained it is. And the location is PERFECT, by far the coolest part of Atlanta. 5 stars!" "The property and amenities make being a resident more comfortable. The staff are very informative and handles residents’ request and concerns with urgency." "Great place to live. Nice amenities and community engagement events. However, I do wish that parking was better and closer to the building for the residents." "Just moved in back in October and we’ve had a great experience so far. The staff are attentive and helpful, and the community keeps us updated on any news/issues. When problems come up, they get fixed fast! The apartments are beautiful and the location can’t be beat." "Since moving to Atlanta I’ve checked out a lot of different places. I love what the Alexan EAV has to offer as far as location, proximity to the interstate, as well as restaurants and other nightlife venues. It’s a super clean place with excellent floor plans that are reasonably priced for downtown living. The amenities themselves are a selling point, along with gated parking and fob key entry for security. I am completely happy with my decision to live here at the Alexan EAV, I would recommend it to anyone looking for a place downtown and the staff will definitely make your transition as easy as it could be." "The staff is friendly and we enjoy the location. However, we have been living here for a year and the quality of the apartment inside and out of our unit is deteriorating." "Good neighborhood. Access to great neighborhood bars, restaurants. Good neighbors! Kind staff. Nice amenities. Easy access to Edgewood, little 5, Ponce and the Highway. 👍🏽"
"absolutely love living here. staff members are like old friends and the modern amenities are amazing. community of residents couldn’t be nicer. very safe and secure!" 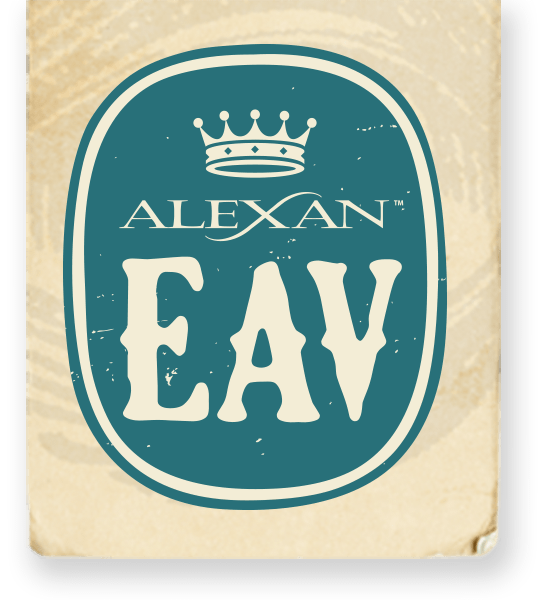 "Alexan EAV is great. I really enjoy the apartment community, the EAV neighborhood, the amenities such as the Green Egg, the garden, pool area and club room. The staff is super awesome as well. Happy to make Alexan EAV my home." "I have enjoyed living in the Alexan. It is very pet friendly and the amenities are really awesome. While the price seems to be a little high for the area, I wouldn't prefer another complex. It has been a good experience." "I have enjoyed the location here The location is very close to downtown and my school. I can drive minutes away from downtown Atlanta Ga. It is a safe place to live." "My experience has been ok. Apartments are nice but grounds need cleaning and pressure washed to help with outward appearance. Community can be a little noisy at times. Police officer lives on the property." "I have had a wonderful experience living in Alexan EAV! I love the place, the community and the staff. I am always happy to come home to EAV!!!!" "I love all the space I have in a townhome. I have a private bathroom and when my friends come over there’s a bathroom on the main level they can use, so they don’t have to go into mine. The office is friendly and always goes over the top in helping residents." "The alexan is a great place to live. It has all the newest amenities like the nest and keyless locks. The security is top notch and it's in a great location." "They have been great with helping get everything situated for my needed move-in date. The staff are nice and the grounds are clean. the local color really adds to the living experience"
"Things are good, most staff is friendly and helpful, although I have seen a decline in landscaping cleanup and cleaning in halls and public areas." "I love living here! The community is great and the people that live here are awesome. Brandon and Morgan in the front office are super responsive and willing to help all the time." "There are small improvements that can be made but overall we enjoy living here. The staff is very friendly especially the maintenance crew.."
"Property management is kind and prompt to respond to concerns. Decent amenities. Good neighbors. Great neighborhood. Up and coming area with lots of potential"
"Love the community, w/ exception to neighbors upstairs because the floors are not so desirable. Handled pending issues, Dennis's response time is awesome, pool, exercise room. All amenities are good. Neighbors are welcoming." "I love the staff and how helpful they are to the residents. They always greet you with a smile. The residents are nice, friendly people who are don't mind giving you a hand if you need it." "Since the change-over in management at Alexan EAV I have nothing but positive things to say about the living experience here. Management are friendly & well involved with the community, maintenance requests are handled quickly"
"Love the amenities--Alexan EAV has a nice gym and pool area that I take advantage of frequently. Office staff is pleasant. The hallways can become grimy from the valet trash. Management is making an effort to improve this but it would be nice to have hallways and stairs cleaned more frequently." "The maintenance staff is very kind and hardworking. They are attentive and as efficient as one person can be when they are in charge of an entire complex on their own. More needs to be done to enforce the no smoking policy as every morning I come across cigarette butts in the stairwells." "Management has improved with communication. Parking is an issue. We are required to pay for valet trash and sometimes we get service and other times we do not. For the most part the community is quiet and filled mostly with young professionals which is a great thing. The area is sketchy but our gated community feels pretty safe." "Overall, great experience! My only concern is the lack of parking for residents. I'm happy my guests can park anywhere, but there should be some designated residents only parking close to the building. At times, there are no open spaces in the parking lot." "Goo so far. There was an issue with front gate locking mechanism. It was quickly resolve. The amenities are nice and well maintained. I'm happy with my choice." "We like it here enough to have renewed when our lease was up! No complaints here so far. I adore my garden, and the community seems to get along really well." "The property has everything you could need in a place to live and is furnished with top notch furnishings. The staff is happy to be working here and responsive to your requests"
"Like the community! Love the access to the village. Usually quick response to maintance issues! Love the direct access to building and complex." "Great location, maintenance quick and friendly, good community atmosphere, management communicative, helpful and open to listening to community feedback"
"I enjoying living at the Alexan EAV. I think the amenities are great and I enjoy the updated apartment interior. There has been an excess of emails due to behavior monitoring, which includes limiting people at the pool, smoking, trash etc. The complex is starting to feel more of a college dorm with rules, instead of a place where people pay generously to live." "The apartments are beautiful, and I like that it's a smaller building. Parking has been an issue as of late and the communication from the staff could be more complete and timely." "Management and the overall quality of the apartment need some improvement however it seems like efforts are being made toward these improvements"
"I like it a whole lot so far. The staff is sincerely friendly and always helpful. The property is kept clean and quite. So far, it is so good." "Great design of the complex with wonderful amenities. Staff is friendly and responsive, and their hosted events are delightful! My only criticisms are that the walls of my unit are very thin and can often hear noise from the neighbors' apartments." "Great location and such a friendly staff. The floor plans are priced perfect for the market and good sizes. No matter what your view choices you will have a good view." "Overall great place to live. Good community vibe. Clean, young, good energy. Ideal commute for city living. Solid food and shopping not to far." "Overall I would say this is a "nice" apt. But for how much we pay I'd expect more upkeep. I've seen some improvement since the new management came it's been better but I would still like to see more upkeep. Less cigarette butts, less trash cans outside. I'm very impressed with the staff though! Always polite and helpful." "it's a good thing that the management changed cos the ones before were absolutely abysmal. the gym is dope and the pool has cool lights and we have cameras now so. it's looking up. Please change the hipster lion painting tho"
"this community is amazing. Some high points: -friendly staff -safety & security -modern amenities -gorgeous apartments love everything about this place." "The Alexan EAV is a beautiful, clean place to live with a friendly office, maintenance and security staff. Issues, if any, are addressed promptly and courteously. Very pleased living here." "I'm loving it so far! The appliances are great. Maintenance is responsive, amenities are very modern and constantly kept up. Neighbors are young, vibrant, hard working people with some mixtures of families. Great place, would recommend." "This apartment is in a wonderful location, literally steps from my favorite restaurants and bars. The amenities are wonderful. The gym and pool are great and they even have a dog park. My two bedroom apartment feels huge and the high ceilings are a big plus. The closets are massive and my cats love running around the apartment!" "It's gone from good to ok. Management keeps sending emails about the rules and its annoying as hell. They also threatened to empty the pool and not fill it back up. Can't do that because it would break the lease for everyone but the approach was not a very good way of doing things. At least the neighbors are cool." "No complaints so far other than the printer in the multipurpose room still being out of order. Love the convenience of the location. Couldn't ask for more." "Best apartment ever.. I'm loving every moment here. Moved up here from London Uk, Alexan apartment makes me feel as if I'm home. Enough security and friendly staff.. especially Josh... I recommend this apartment to anyone looking for a place like home"
"First and probably most importantly, I feel a lot safer than I used to in our apartment complex, with the new cameras and a patrolling security guard. Secondly, management seems to care a lot about random things that seem very silly to me, like how many friends people bring to the pool and whether the trash bag is in the trash can when we put it outside, and not enough about bigger things, like building a sense of community." "I am enjoying it very much a couple hiccups here and there inside with the appliances and lights but it is great!! I love how close it is to everything and the staff is great. We asked for things to be fixed one night and the next day we came in and it was done it was great!" "I moved in really recently but I can already say that I love Alexan EAV! It's close to a bunch of cool bars, restaurants, target and grocery stores. Great locations. Amazing community! I'm very excited to be living here." "I love my apartment, but I wish it wasn't so expensive. I'm also not sure why I can't place a trash bag on the ground if it won't fit in the trash can. That seems like an excessively strict rule, especially when I pay $25/month for the service." "Absolutely love this place. Everyone is incredibly responsive and helpful. The neighborhood is right out the door and has lots of fun and funky stuff to explore. Relocating from Oakland feels much easier coming here." "I think the job you are doing right now is ok. I would like to be sure that people pick up after their dogs more. Outside of that, I enjoy living here." "I think the apartments here at Alexan EAV management is better since the switch in management and added security. I just wish they would keep the hallwaysame cleaner and go down on the rent"
"Staff is always available and responsive to all my needs. Amenities are amazing. I especially appreciate the Package Concierge and email/text notifications of packages. Gym is the best I've seen in an apartment building." "I moved in on a promotion and was promised a $500 gift card after my second month of being a resident. I had to call the leasing manager who had no update on the card and seemed clueless. I am now awaiting a response. I have experienced maintenance issues and I do not like that the maintenance team never leaves a notice stating that they've been in my apartment. My suggestion is to improve communication all around. I do not plan to renew my lease." "There have been significant improvements with the new management company. They are seeking feedback and actively making positive changes. The community itself is great as is the neighborhood. Residents are friendly, kind and helpful." "If they would actually follow through and fix the window that was never completed, or discount rent for five months of still not being fixed. Also new office staff is no where as pleasant as previous staff. Cleanliness and maintance seems to be declining." "Great amenities could use a little more upkeep in the hallways and elevator. The residents are nice and easy to communicate with if there's a problem such as loud noise or if you need help like impromptu dog sitting. New management. Still trying to get a feel for them." "Great neighbors and staff, including very kind and alert 24-hour security staff and maintenance staff. First rate apartments and amenities. Great neighborhood with lots of local restaurants and things to do. No complaints, very happy here." "I moved in last November and have had a great experience so far. My apartment is great, amenities are awesome, and I can't wait for the pool in the summer. I'd recommend living here if you love EAV." "Over priced, but they deliver on the amenities, cleanliness, new management works hard and is easy to work with. We're happy to have been a part of this community." "Management has definitely been getting better. Some areas that could be improved upon are cleanliness of hallways and doing a better job of addressing noisy tenants." "I think the apartment company has done a great job trying encouraging neighbor socialization by putting on community events. The front office has a positive attitude, which is a change from previous management."